One of these days I am going to host a honey tasting party. If you have never tried a honey other than clover, you are missing out. One of my favorites is meadowfoam honey which tastes like cotton candy in honey form. Other honey flavors, such as tamarisk or buckwheat, are dark colored honey with a robust and earthy taste. Since I had some tamarisk (and buckwheat) honey on hand, I wanted to make an easy appetizer that showcases the honey. 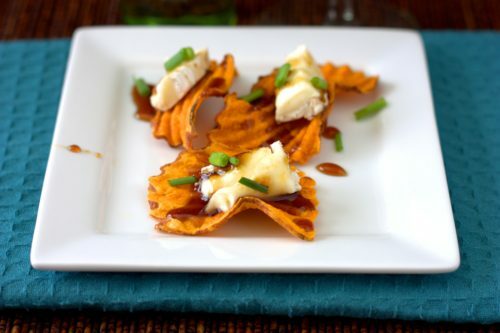 I topped sweet potato chips with a small wedge of brie cheese, drizzled on some honey and garnished with chives. Now that I have started to think of ways to sample the honey, I just have to plan and execute the party! I typically pick up different honey varieties when I visit farmer’s markets, but some of the larger specialty honey makers sell online as well. A few of the brands that I have tried are Grampa’s Honey and Winter Park Honey. 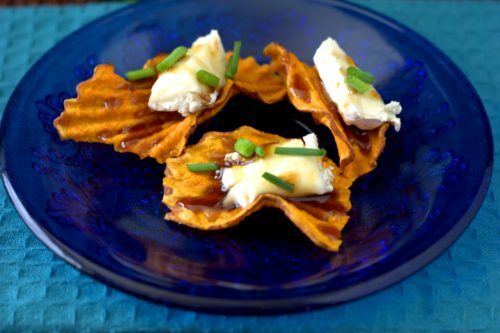 Cut the brie into 12 small pieces, then place one piece on each chip. Drizzle evenly with the honey and garnish with chive pieces if desired. Refrigerate until ready to serve. 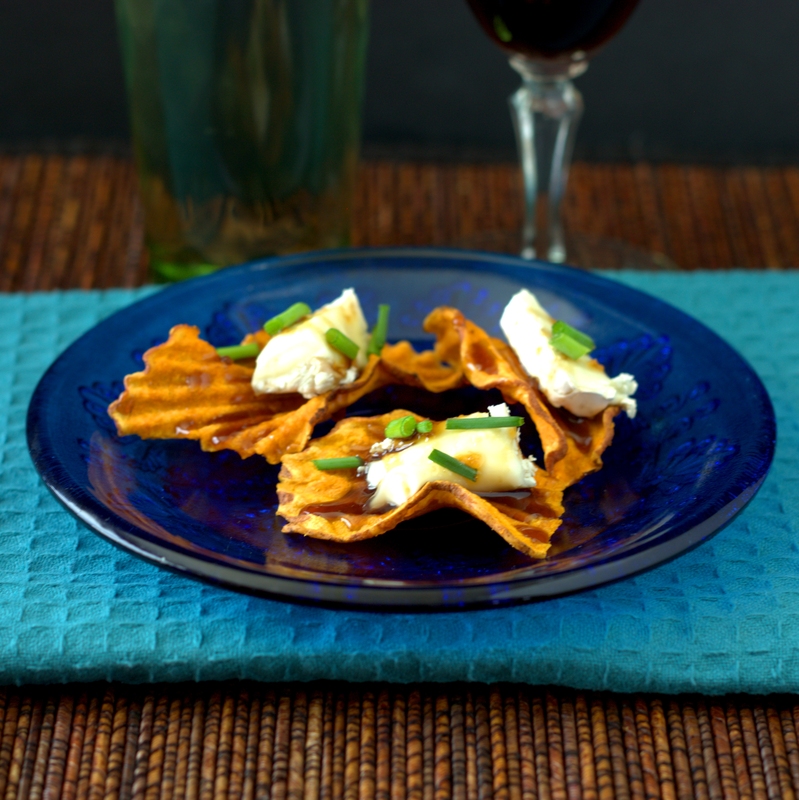 This entry was posted in Appetizer and tagged Adventurous Ingredient, cheese, honey.